Hello there! I’m back today with some midweek inspiration for From the Heart Stamps. I actually got the inspiration for this card from Imke who is one of our Design Team Leaders at FTHS. 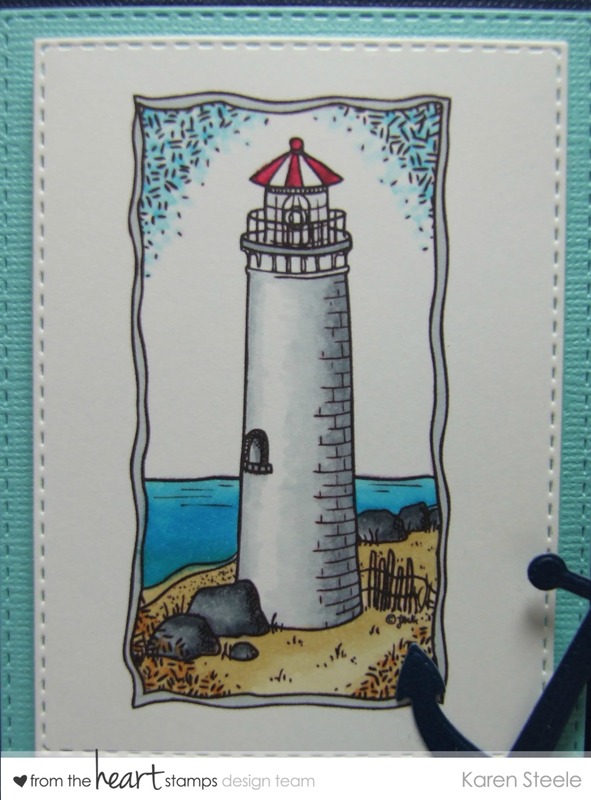 She made a fab card using this wonderful lighthouse – which you can find here and I knew I had to get this image! It’s great for masculine cards and for encouragement and thinking of you cards. Check out Imke’s card here. I also used: ‘Nautical Rose’ papers, Core-dinations cardstock, Memory Box Stitched Rectangle Dies, Spellbinders Oval Dies, I’m not sure where this anchor die came from! Spectrum Noirs to colour. I used the computer for the sentiment. < Previous Mother’s Day Montage…. Imke will be thrilled with this card for sure. I’m loving the paper choices, they’re perfect for this great image. I bet your bro-in-law will love it too. Great card, Karen! Masculine cards can be tricky and this is great – love that nautical rope background paper! 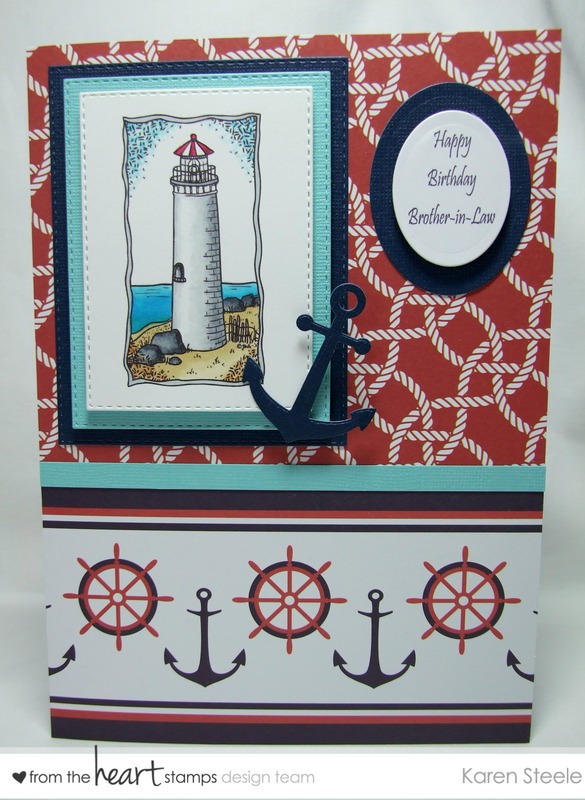 What a fabulous card with the lighthouse, anchor, and nautical paper! Your brother-in-law will love it! Adorable Card, Karen ! The nautical DP fits perfectly with this Image which is really great for masculine Cards. Thanks for your kind words about my Card ! I love everything about this card. It is beautifully designed with all the elements perfect for the image! Being born and raised by the sea I love nautical cards, I can feel the salty air and wind in my hair… And you’re right, they’re perfect for the males! I think you’ve put together a fab detailed but not over the top design here.